Less than a half hour into 2014's The Maze Runner (my first review of the fall season), the character of Alby (Aml Ameen) says to the main character of Thomas (Dylan O'Brien), "you're not like the others, you're curious". Absotively boss! Absotively! That's the central theme about what's going on here. A confused young gent is catapulted into a dystopian future and unbeknownst to everybody else, wants to change things and break the cycle. Now in all fairness, I hadn't read the series of original books by which this flick is based upon. But as I diligently watched what inhabited the screen, I realized that it reminded me of so many other films that I threatened to make a list. Here's a few that I remember: "Runner" seemed reminiscent of 1990's Lord of the Flies (themes of savagery and the forming of a tribal society), Cabin in the Woods (the whole behind the scenes feel where governmental workers at a hidden station, are manipulating everything and everyone through the use of hidden cameras), 1997's Starship Troopers (there are bugs in a large maze that kill people and they're similar to the ones in Troopers), and 1997's Cube (all the characters wake up in an unknown place, don't know each other, and must find their way out of evil, deadly traps and such). Now am I condemning "Runner" because of these factoids? Not really. This ultimately wasn't the reason for my condensed, two and half star review. 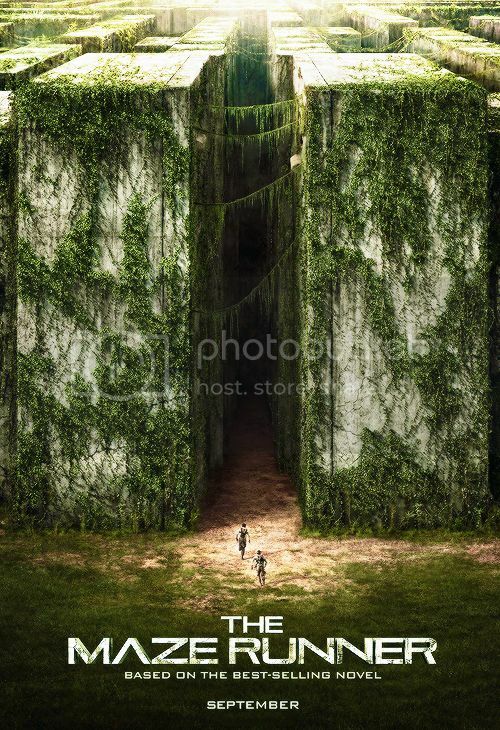 Featuring cinematography that has the look of a 90's Pink Floyd music video and filmed primarily in Baton Rouge, Louisiana, The Maze Runner begins with young Thomas aka "Greenie" (played Dylan O'Brien). As the proceedings first come to light, he's traveling upward in a rundown elevator that ends up surfacing towards a grassy field (with a huge corridor-like structure wrapped around it). When this elevator stops, he finds himself taken in by a bunch of other teenagers. They let him know that he's trapped (along with them) in a location (the Glade) which harbors no escape of any kind. I mean, there is a way to get out, but it involves hightailing through an enormous maze where at night, evil bug-like creatures (I think they're called Grievers) can feast on you. Things to look out for in "Runner": 1. There is less focus on the intricacies of the maze and more on the laughable law and order tactics mitigated by the budding young adults. 2. The movie doesn't really have any twists and turns and when it does, it's fully transparent. 3. Characters wake up in the dystopian world only knowing their name and nothing else about their past. Talk about anesthesia gone afoul. Bottom line: The Maze Runner is well edited by Dan Zimmerman, scripted in a mumbo-jumbo sort of way by three writers, and crisply directed by Wes Ball (he helmed the Short, A Work in Progress). The storytelling is mostly straightforward and "Runner's" running time (ha ha) glides by for most of the way. However, it's not quite compelling when it should be. Why? My money is on the young actors who come off as novices with the sort of heavy-handed PG-13 material. 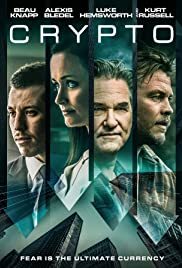 The tone at which these actors are gauging, is rather muted at best (not to mention low key) and as a result, they can't sell scenes that are pivotal to us, the audience. It's not entirely their fault though because there are times when The Maze Runner itself, can't sell us on its foregone conclusion. Case in point: when the lead player (Dylan O'Brien) goes through the maze, comes out of it all shaken up, and lets everyone know that he might have found a way out, we as involved moviegoers aren't quite convinced. I mean, this dude finds an opening where a wall is raised and deadly, menacing creatures come charging out of it. How in the heck is that a way out? You tell me. As for O'Brien himself in the role of Thomas, well he's got movie star looks (he kinda resembles a young Rob Lowe) and a so-so screen presence. But to be honest, he's about as bland as lentil soup. He's definitely not ready to carry a big studio film just yet. Overall, I'm gonna give The Maze Runner a mixed review because although it didn't blow my mind, it still sort of held my interest in a mild, time-killing sort of way. Believe me, this isn't an awful vehicle but it's not something you'd totally "run" to see. Of note: (spoiler alerts) I disliked the way this movie ended immensely. And what threw me for a loop was how it sort of left the window open for a sequel. I mean seriously, what's next? Are these poor kids gonna get dropped into another maze, with enough safe space to build another life, and with possibly a different order and form of governorship? Like I mentioned earlier, I've never read the book (or books) that The Maze Runner is based upon so maybe I'm not getting the gist of what's going on here. Regardless, my questions are as follows: What society allows scientists to manipulate kids like this? Where are their parents? Why are the young guinea pigs all boys with the exception of one girl? I mean, this flick treats the underage like furry rats in a cage. As the credits rolled, I figured that if "Runner" were to make money, there would probably be a new installment in a couple of years or so. In the end I thought to myself, "what's the darn point anyway?"